Notepad++ has this annoying built in feature where it autocompletes quotes brackets angle brackets braces parens parentheses etc. You type " and it throws in another " right away! Stop it already! 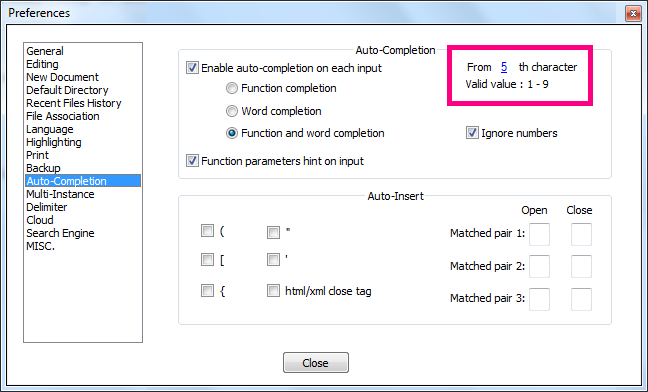 2nd grouping called "Auto-Insert", check/un-check the appropriate auto completion/inserts. Note there seems to be a bug in version 7.5.7 where I can&apos;t set which character it is from. So I could only turn off auto complete. How to disable annoying &apos;parenthesis completion&apos;?